Business description from prospectus – Jash Engineering is engaged in manufacturing of water control gates, flap valves, knife gates valves, energy dissipating valves, water hammer control valves, fine and coarse screens, screening conveying equipment, screening washing and compaction equipment, industrial valves for bulk solids handling, hydro power screw generator, screw pump and process equipment like detritors, clarifiers, clariflocculators, thickeners, decanters aerators, trickling filters, dissolved air flotation (DAF) units, rotary drum slackers, rake classifiers, pressure sand filters, etc. for water, water waste and effluent treatment plants. The products of the company find application in water intake systems, water and waste water pumping stations and treatment plants, storm water pumping stations, water transmission lines, power, steel, cement, paper & pulp, petrochemicals, chemical, fertilizers and other process plants. The manufacturing facilities are equipped with pattern making, foundry, machining, fabrication, inspection and in-house testing. The company caters to the domestic as well as international markets. Presently, it primarily derives its revenue from the domestic market which contributed more than 70% of the total revenue in FY 2017. 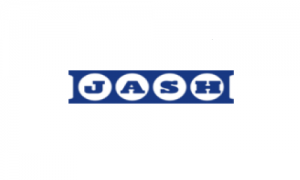 Jash Engineering IPO allotment status is now available on Link Intime’s website. Click on this link to get allotment status.